How was your summer holidays? Our summer was hot and humid. Frankly speaking I much prefer fall. Better weather, more energy. I almost forgot about blogging. I am quite shocked that I haven’t posted for almost two months! Good lord. I hope this time I can really get back into blogging on a regular basis. 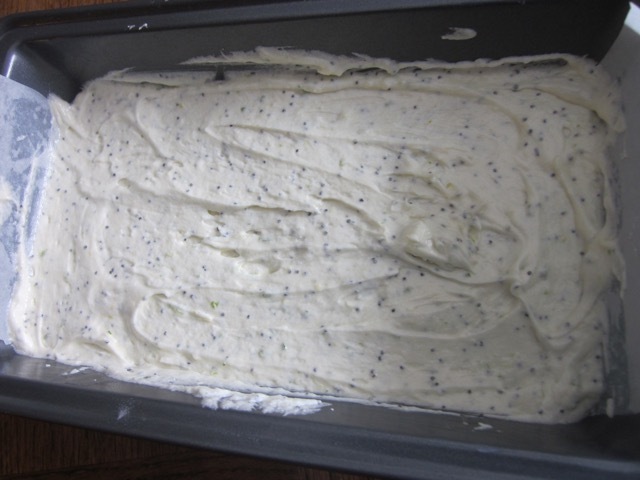 This cake was baked sometime in July. It is awesome. Soft moist and irresistible. I wish you a great weekend. Please always remember to assemble all ingredients before you start. 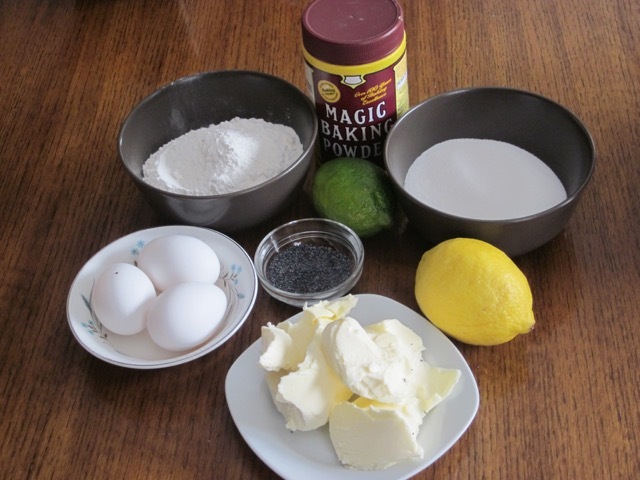 Beat butter and sugar until light and fluffy..Beat in eggs one at a time.Stir in lemon juice and rinds. 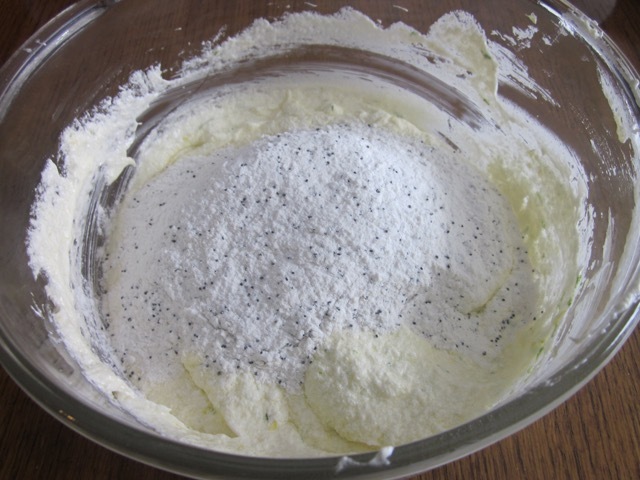 Fold in in the flour. We really enjoyed eating this cake. It’s best made with margarine. Grease a 9 x 5-inch (23 x 13cm) tin (pan) and line the base with parchment. Preheat the oven to 325ºF (160ºC) ten minutes before baking. 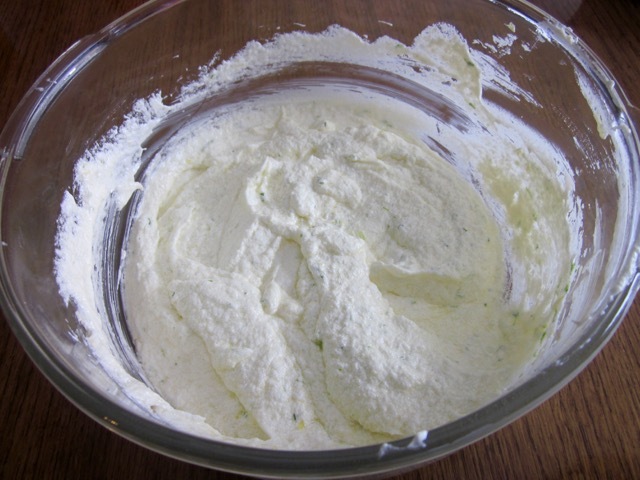 Sift flour and baking powder. 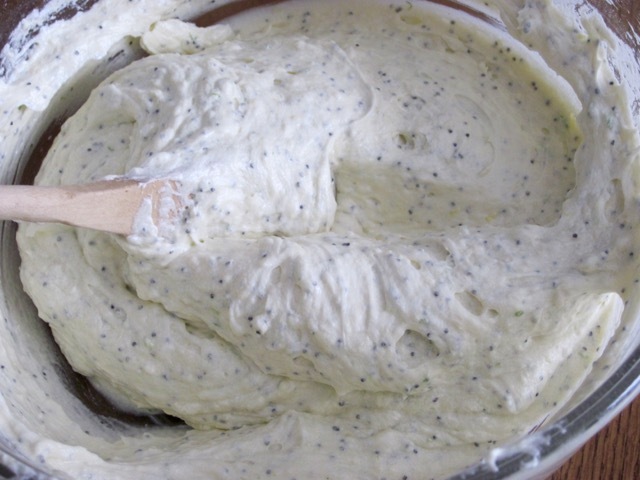 Stir in poppy seeds and set aside. Stir in lemon juice and rinds. 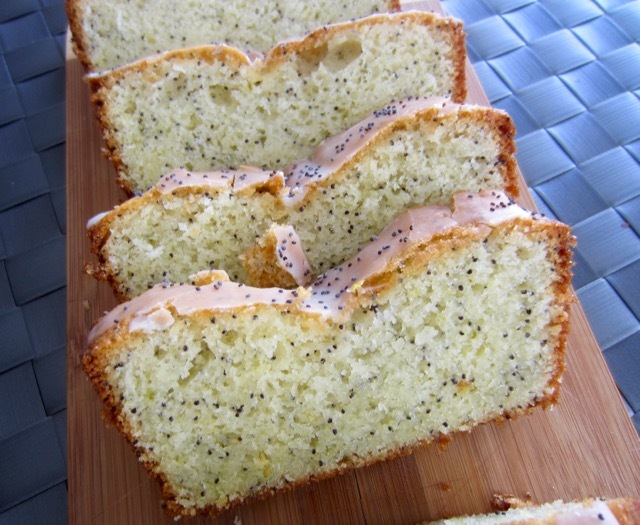 For the Topping: mix the lime juice, icing sugar, and poppy seeds to make a runny icing. 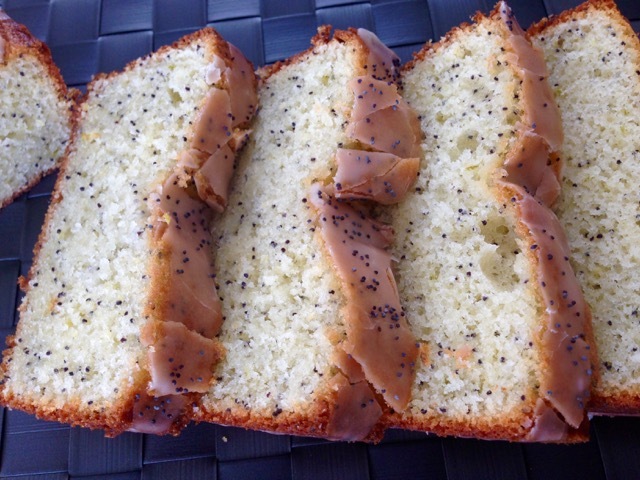 Drizzle over the top of cake. 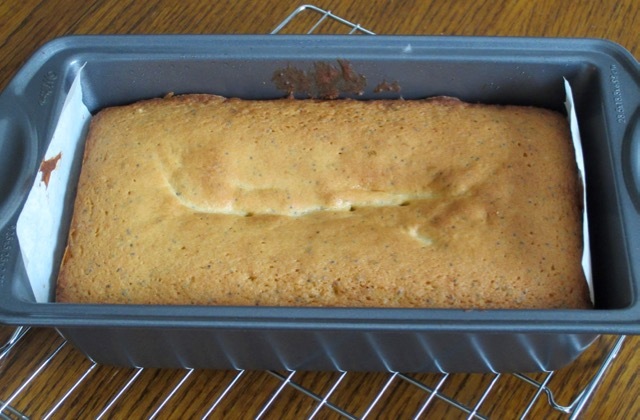 I baked the cake at 325ºF (160ºC) for 55 minutes. Thank you so much Anna. I hope am back for good. No more procrastination. Have a great weekend! Please let me know how it went. Happy baking!!! Oh that sounds like a vey interesting sub. I must take a cue and try that. I bet it tasted really nice. Thanks for the feedback! Welcome back! Love fall also! Are kids back in school? Kids are back in school..phew! I can breathe normally again, work and have some time to blog. How have you been? Hope you had a splendid summer!!! Enjoy fall! Great summer, my college student left and my two other young adult children moved back in, it’s all good. I guess the nest gradually empties…you as well! Thanks. Mine will be empty soon, too. Then I want to take a trip around the world….look forward to! Thank you for posting this with pictures. I always have problems deciding on how thick the batter / dough should be; seeing a photo of it makes a lot more sense to me. Having the measurements in grams is very helpful as well when you are in the UK (a stick of butter is not the same size on both sides of the pond). You’re welcome. The pictures help me too so I absolutely understand what you mean. I always measure in grams. Have a great week! Welcome back Liz! This cake looks delicious! Thank you. I am so glad to see you! Just made this. Wish I’d seen this post first! Maybe I’ll try making the blueberry lemon one. Blueberry and lemon sounds great too. I have lots of frozen blueberries. Have a great week! Oh that is so interesting. Never tried baking in a slow cooker. Have a lovely week! Any poppy are is good in my book. Lemon and lime, yum! Glad you had a good summer. We did as well, though I’m thrilled school has started…just not thrilled about all the activities now too. Boy am so glad school has started meaning I can have some free time for myself. The cake tasted awesome. I hope the boys are having a great time in school. Have a great week, ahead! They are loving school and I am loving the quiet time. Going to the grocery store by myself is fantastic! I totally love the quiet time. It’s so refreshing. Have a brilliant week! Thanks. Great to see you after my long and well deserve break. It’s good to see you back! And I’m ready for autumn, too . . . Thanks. I really love autumn. Not too hot and not too cold. Just great for walks, hikes, gardening and blogging. Great week, ahead! Everyone is doing well. Thanks. Good to know. Enjoy the week! Thank you, Ralph. My weekend is awesome. Binge watching shows on Netflix. What more can I ask for??? Well Netflix is basically internet Tv so you and I are watching from the same source. Glad to see you Ralph. Your post really made me laugh!!!! Oh you know you always have my permission to eat anything you want from here? go ahead Ralph! Ha ha Ralph. You’re more than welcome! Thanks Liz 🙂 Happy Sunday !